Krannert Art Museum has expanded its collection in recent years with the support of a five-year, $10 million fundraising initiative that concluded this summer. The museum has added more works by female artists of the 20th century. Bea Nettles, “The Skirted Garden,” 1969. Gift of the artist. 2017-20-2. CHAMPAIGN, Ill. — Krannert Art Museum has significantly expanded its collection, particularly in acquiring works by female artists, thanks to a five-year, $10 million fundraising initiative that concluded this summer. The fundraising initiative supported programs and renovations, as well as acquisitions. In addition, key donors offered gifts of art and acquisition funds to strengthen the museum’s collection during the fundraising initiative. This has allowed the museum to add significantly to its holdings, including works by Linda Connor, Doris Derby, Bea Nettles and Melanie Yazzie, among others. As the collection has grown, the museum has deepened its holdings of 20th-century art of the United States, ensuring that it more fully and accurately represents a diverse range of artists and art practices. Doris Derby, “Caretaker II,” 1968. Silver gelatin print. Museum purchase through the Richard M. and Rosann Gelvin Noel Fund. 2018-11-4. “As new acquisitions are considered, the curators work with academic colleagues to evaluate works that will add significantly to the collection and be used for exhibitions as well as teaching. The process involves research, consultation and debate,” Seydl said. The group identifies works that will make a powerful, long-term contribution to the collection, and often donors will step up to support a purchase, Seydl said. 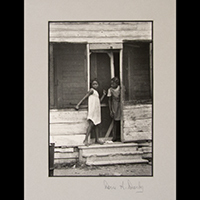 “Derby’s work is formally strong, historically significant and creates meaningful dialogue with the work of other artists in the collection, notably Walker Evans, Robert Frank, Garry Winograd and Lorna Simpson,” said Amy Powell, the museum’s curator of modern and contemporary art. Doris Derby, “The Ingenue,” 1968. Silver gelatin print. Museum purchase through the Richard M. and Rosann Gelvin Noel Fund. 2018-11-2. 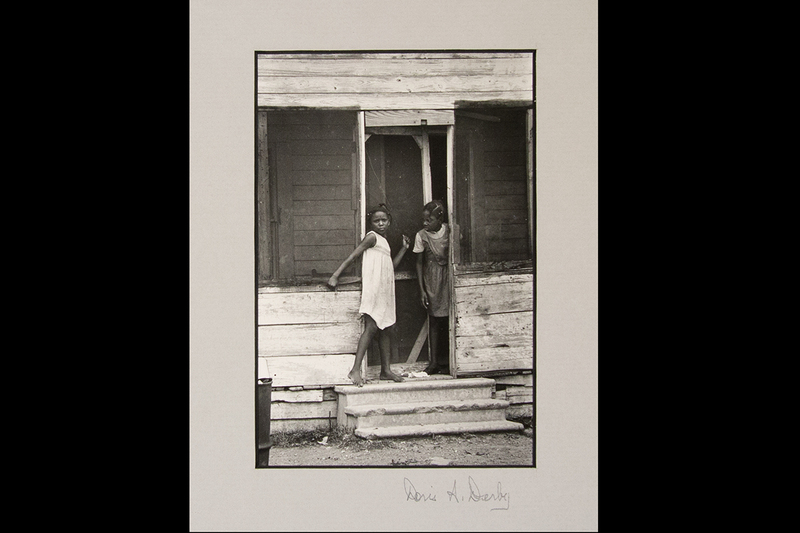 Newly acquired work by Bea Nettles, a U. of I. alumna and professor emerita, adds to the museum’s collection of experimental photography. The museum most recently acquired “Rachel’s Holidays,” a series of dye transfer prints made in 1984. Dye transfer printing is a complex, technically challenging way for a photographer to produce brilliant, saturated color that doesn’t fade. 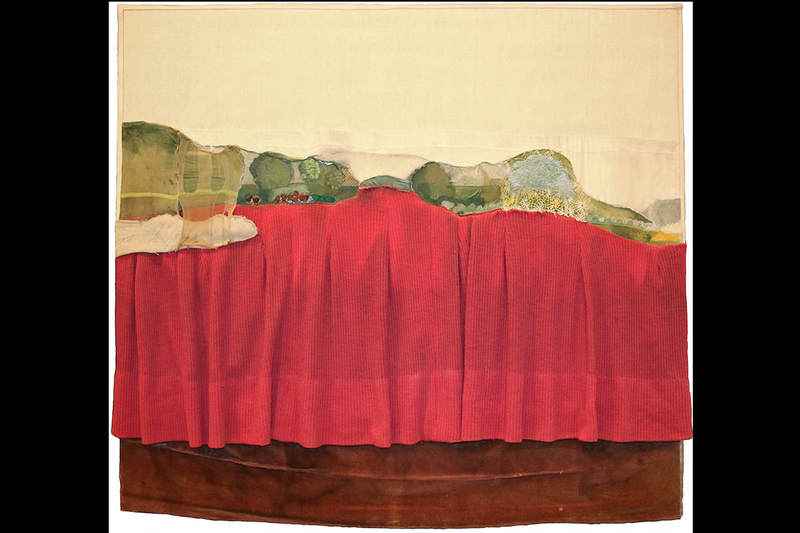 The museum also acquired a unique 1969 work titled “The Skirted Garden,” which is a landscape “painting” comprised of layers of fabric sewed onto canvas, including Nettles’ own skirt. 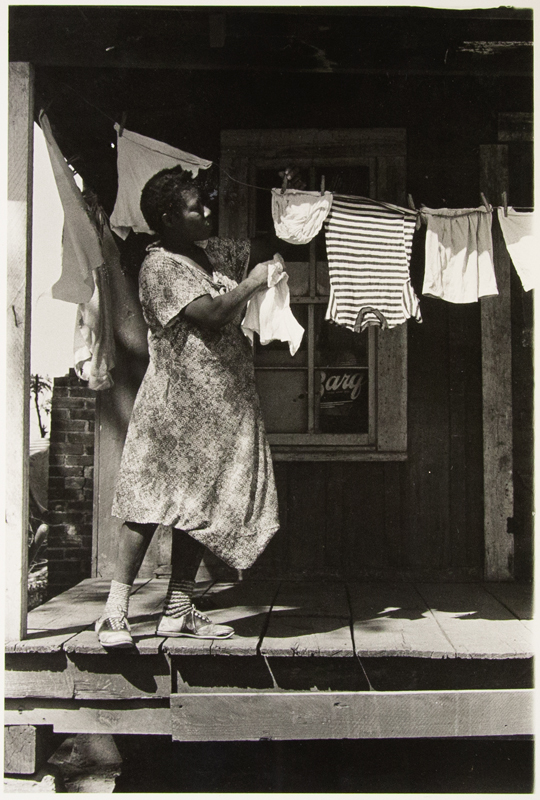 “Nettles’ contributions to the history of photography are of national importance. Her technically innovative, experimental work will transform the museum’s 20th-century North American collections, particularly in terms of color photography,” Seydl said. 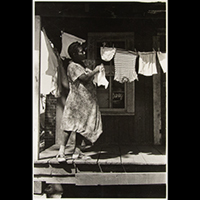 This year, the museum acquired early work by Linda Connor, a landscape photographer currently practicing in San Francisco. 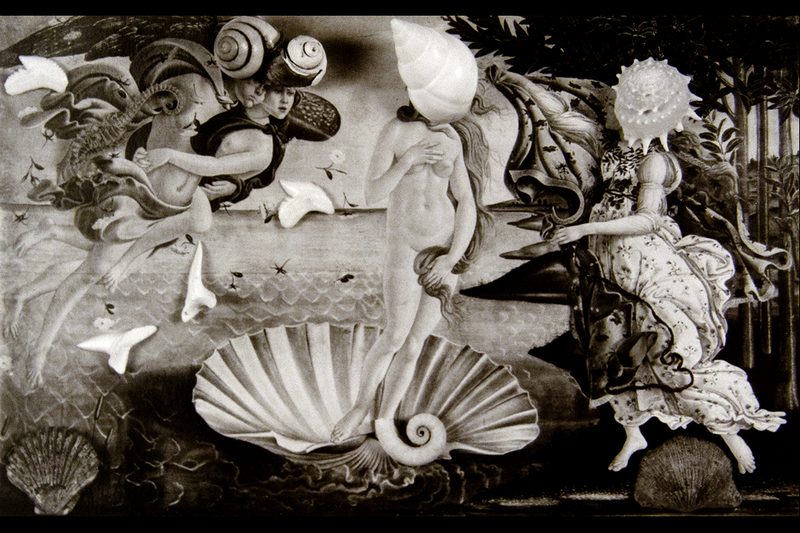 In her 1971 photograph “Birth of Venus,” Connor used shells and bits of ribbon to create uncertainty about what is original to the Botticelli painting she is referencing and what materials are imposed by the photographer. 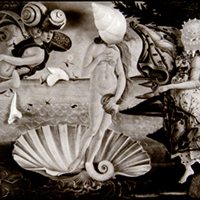 Linda Connor, “Birth of Venus,” 1971. Gift of Bea Nettles. 2018-8-3. Five works on paper by printmaker, painter and sculptor Melanie Yazzie, an artist of Dine (Navajo) heritage and professor and head of printmaking at the University of Colorado, Boulder, were added to the collection. They are “Indian Boy Project,” “Untitled [A Great New West],” “Great Grandfather,” “Learning from Her” and “Going West,” all made between 1996 and 2004. Yazzie’s earlier works address harsh realities in the lives of Native peoples, including racism, poverty and abuse. Later works focus on personal experiences and conveying important sources of Indigenous knowledge, telling stories imbued with the symbols and visual vocabulary of the Dine people. “The museum’s collection is our lifeblood and needs to be as deep and textured as possible, and – like our recent acquisitions – developed with artistic quality, historical importance and intellectual strength in mind, with an eye toward the underrepresented and challenging voices that will speak in meaningful ways to our students, faculty and residents of the region,” Seydl said. Editor’s notes: For more information, contact Julia Nucci Kelly at jkell@illinois.edu. The Krannert Art Museum collection is available to view online at kam.illinois.edu.